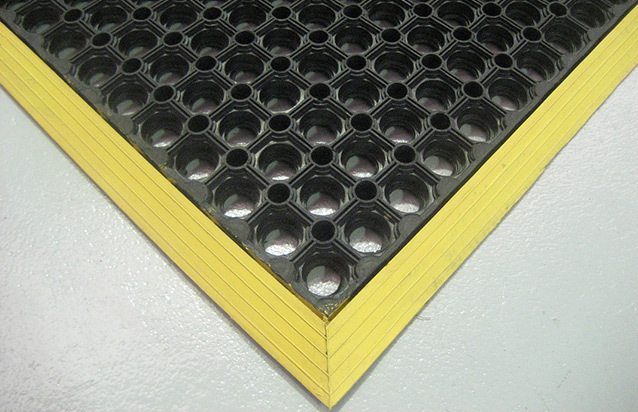 Cushion Walk Module Safety comes with large yellow bevelled edges fon all sides for additional safety and visibility. It also ( Cushion Walk Module ) comes with block sides which are ideal for joining. Cushion Walk Module Safety exceeds in engineering workshops in front of machinery and welding bays and Assembly lines. 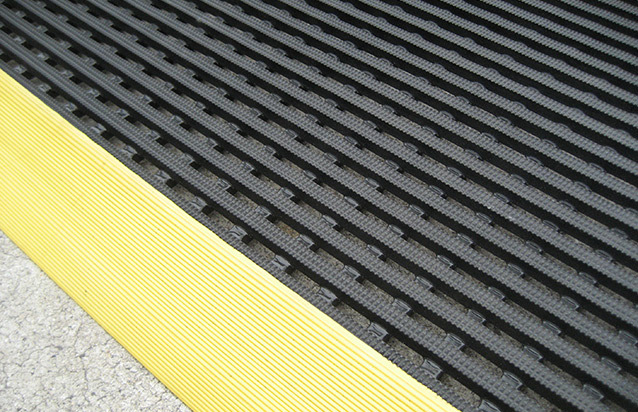 Cushion walk module Safety mats are anti-fatigue and anti-skid and will provide relief for tired, aching feet and back muscles. 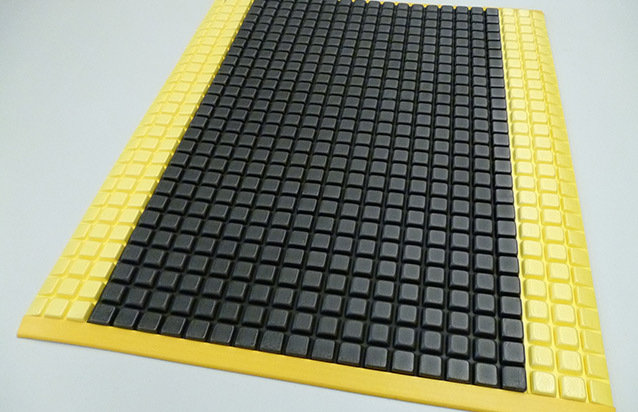 Made of a highly resilient rubber, providing excellent abrasion resistant and high tensile strength.Thick and chunky, a perfect mat for industrial applications.